A young prostitute is found murdered and mutilated. Francesco Sagredo, recently returned from exile, is asked by the Doge to look out for his son, Tomasso Cicogna. 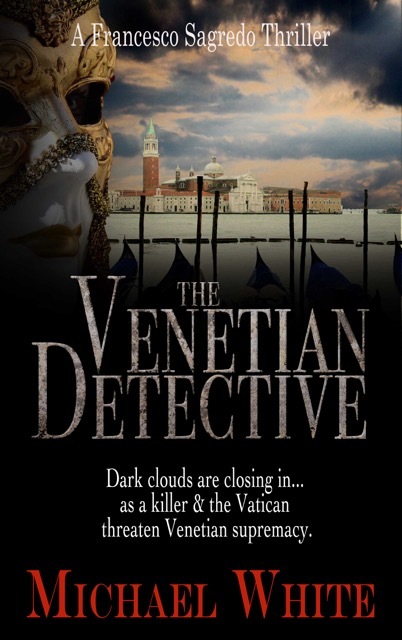 Sagredo’s childhood love, Teresa Damas, asks for his help in finding the murdered girl’s killer. Francesco begins to peel away the layers of the mystery by applying empirical rigour and scientific deduction. He is convinced that the killer calling himself Saviour seeks to cleanse the Republic of those he considers ungodly. Meanwhile, the Pope sends his right-hand man, Cardinal Severina to convince the Doge to let the arch-heretic, Giordano Bruno, go to Rome to face trial. The Vatican seeks to exert its ecclesiastical power over the Republic and bring it under Papal control. A dark tale of religious obsession, political intrigue, drug money and the occult begins to unravel, drawing Sagredo, Teresa and Tomasso into a nightmare fight against the forces of evil. And when someone close to him is set to become the Saviour’s next victim, Sagredo has to use the full range of his abilities to isolate the killer and bring him to justice.